AllTechhub Provides The Latest News & Updates Of Mobiles, Technology Updates, Full PC Games & Software. Those are waiting for jio phone now wait is over Today is Jio Phone Bookings Start Today at 5:30pm,you can book your jio phone on jio official site jio.com or on jio application online.You can also book your jio phone offline from your nearest Relaince Digital Store.And here we can tell you How to book Jio Phone Online Free. The customers have need to pay 500 rs when they book jio phone, while pending Balance of Rs 1,000 has to pay when you got delivery of the JioPhone at Your Home. Reliance Jio confirm that they can deliver the jio phone on the basis of first come first serve. The company aims to have 5 million new JioPhones available at retail stores on every week. Deliveries of JioPhone are may be starting between 1 to 4th September. JioPhone will use the Snapdragon 205 mobile platform. The phone come with camera modules that can capture images up to 3 MP, with videos recordings in 480 p at 30 fps. The dual-core CPU can be clocked up to 1.1 GHz, and the GPU on board is the Adreno 304. The QVGA display has a screen size of 2.4-inches. New voice commands features to interface with the phone. You can Book Jio phone via JIO app or on JIO.COM website they required jio connection or jio id. then a screen with appear that ask for your no(jio no) and pin address fil it. After filling Details you see the payment option via jiomoney,paytm,or direct through debit card. When you compelete your payment you see a message on Screen with you unique id. 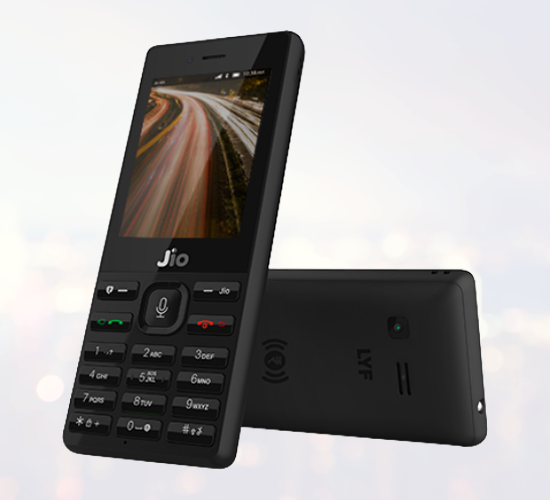 Both, the person who made thepayment, and the intended recipient who Book jiophone will receive an SMS message confirming the booking of the JioPhone. Hope this Article help you lot on booking of jio phone.we can clear everything about jio phone bookings and with the steps How to Book Jio Phone Online Free.if you face any problem regarding jio phone booking let us know in comment section we can help you. 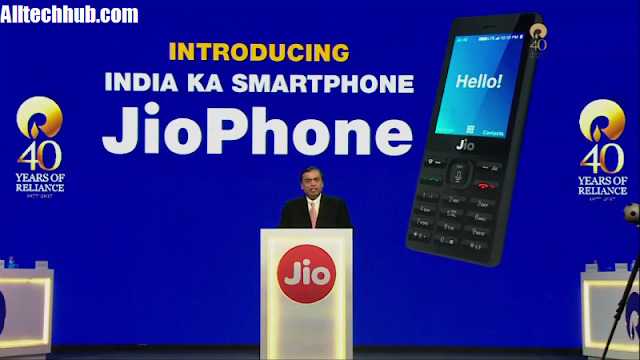 Jio Phone: On Friday finally Mukesh Ambani announced their new Jio Phone.That jio phone introduced as "India ka Smartphone".And that smartphone was world cheapest/free 4G smartphone. Buyer just needs a deposit of Rs. 1,500 as a security for the device that is refunded after 3 Year.here we will discuss Jio Phone price, specifications, features etc. 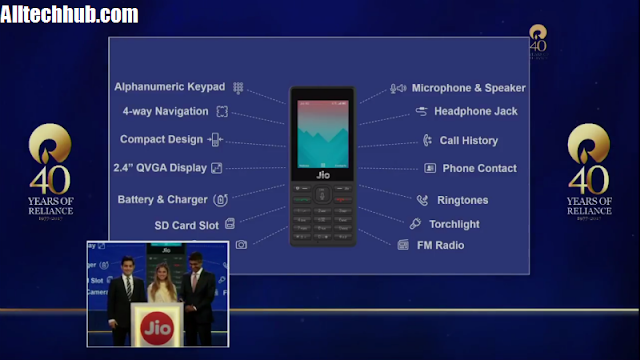 The Jio Phone, which will be come with lots of features that will be come in 5k plus ranges smartphones. Additional features like it will come with FM radio support and microSD card slot where you increase your memory by inserting SDcard. 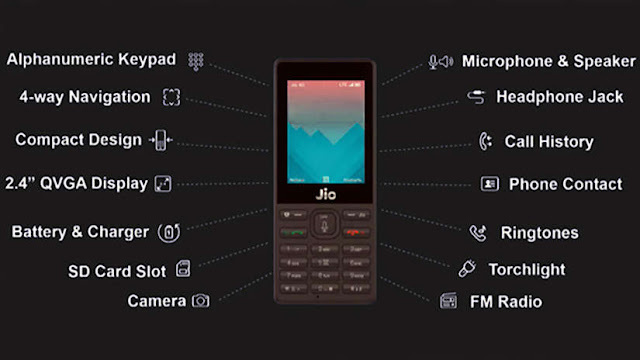 Interestingly, that jio phone also comes with NFC, which will be enabled with a software update.with these features, the user can link their bank accounts, UPI, and other such payment options with the phone and use it as digital transactions. The Jio phone was completely free There will be a Rs 1,500 refundable security for 36 months those you need to deposit when you purchase the phone. Effectively, this makes the phone completely free, as Ambani said. the jio telephone will be accessible to clients for the beta testing from 15 August. Different clients can begin pre-booking the gadgets from 24 August onwards and the gadgets will dispatch in September. The telephone will be accessible to people in general from that point.